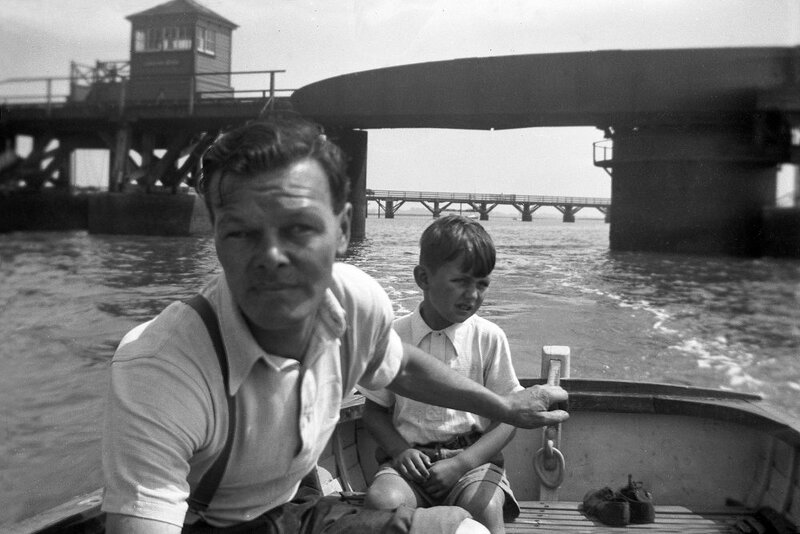 Roger kindly sent in this image of himself and his father taken in 1953. The photo was taken as they passed under the swing bridge section of the railway. The old road bridge can also be seen in the background.